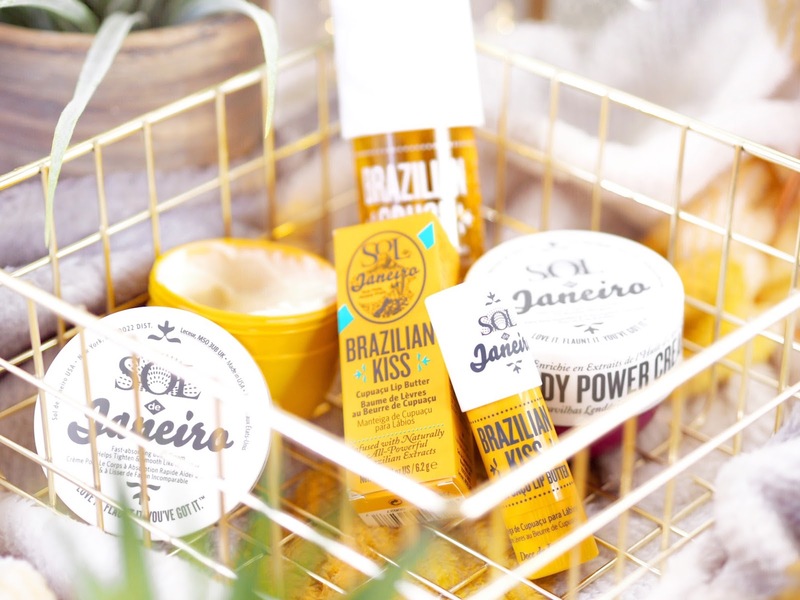 Sol de Janeiro – Brazilian Skincare… And THAT Bum Bum Cream! Like everyone else, last year I started to notice the Bum Bum Cream was springing up everywhere. I was instantly intrigued and knew I had to get my hands on it. And I’m not even going to beat around the bush on this one – it’s amazing. The range is amazing. As far as body skincare goes, this could well be coming out top of my list this year. 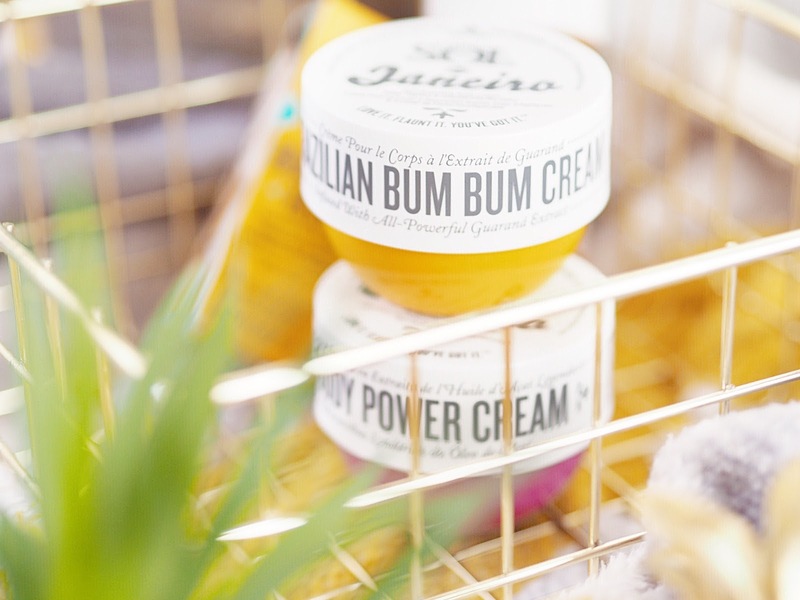 The first product, is the hero of the range itself – the Bum Bum Cream. It comes in a full size which is 240ml for £44, or a Travel Size which is £18 and 75ml. If you’re unsure about purchasing the full size, start with the smaller one, but I can guarantee you’ll be buying the full size in no time. The cream itself is going to seduce you from the second you open it – the scent is pure indulgence and I take the lid off for a sniff quite often throughout the day because it smells that good. It’s basically, summer in a pot – it reminds me of beaches, holidays and fruity cocktails. The scent is perfect for any time of year because it makes you feel so summery. A feeling we all aspire to in winter, and indulge in during the summer. What makes the Sol de Janeiro Bum Bum Cream different to other body creams though, is the way it’s formulated. The Brazilians are known for their pert and gorgeous derriere’s, and the cream contains Guarana which is a plant substance rich in caffeine (approx five times more caffeine than a coffee to be exact!) If you didn’t know, caffeine is one of the ingredients recommended to fight things like cellulite and is also recommended as a key ingredient of tightening and firming products. (Again, don’t say I don’t teach you things!) 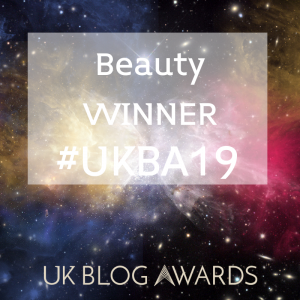 So the Guarana combined with the lovelies like Acai, Coconut Oil and Brazillian Nut etc – mean it smells awesome, but it’s actually really potent bodycare – in a good way. Used all over the body, starting with circular motions on the bum, I adore this cream because of the scent, but also the fact it’s non-greasy and it dries SO QUICK. So…it smells great, tightens the skin, dries quickly and isn’t oily or greasy. What more could you want in a body cream?! It’s recommended that you use this on any areas that need a lift – so not just your behind, but tummy, thighs, arms etc. Personally, I slather this everywhere because I want to smell like it all over! Seriously, get yourself a pot. You won’t be disappointed. Then there’s the Sol de Janeiro Acai Body Power Cream. Another absolutely gorgeous product that’s great for the body. In exactly the same two sizes and prices as the original, start with the Travel Size and you’ll work your way up. Where the Bum Bum Cream tightens are firms, the Acai Cream nourishes and leaves skin feeling super soft. 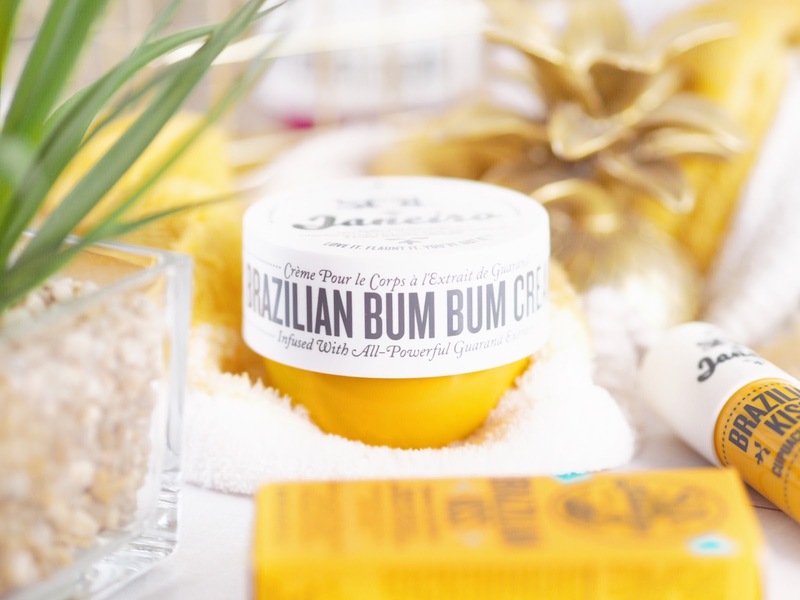 So use the Bum Bum Cream to tighten the skin, improve those slightly more saggy areas or areas of cellulite, and then the Acai Cream to nourish and soften to the touch. It’s a great combination that gives you everything you could want in a skincare duo. Plus the Acai has an almost pearlescent look to it, so when applied, it looks like your skin is glistening. I can’t wait to rock this on my holiday this summer. 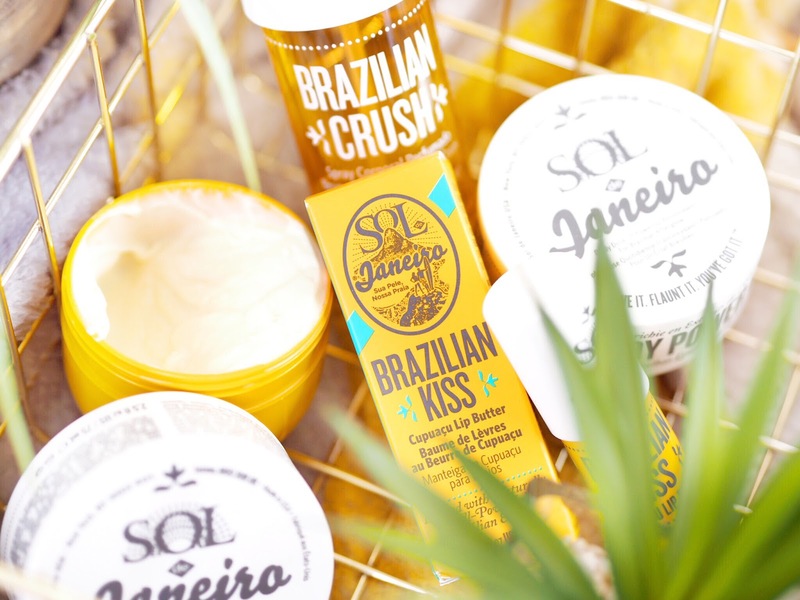 To top it all off, there’s the Sol de Janeiro Brazilian Kiss Lip Butter which is a lip version of their best selling ingredients. The butter is creamy and thin when applied but provides deep nourishment that lasts for hours. Plus it smells absolutely divine, like everything else in the range! It’s so nourishing that it gives instant comfort to dry or chapped lips and within only two days I saw a real difference in how dry my lips had been. After just two days they were softer and more supple and they just felt a lot less wintery. 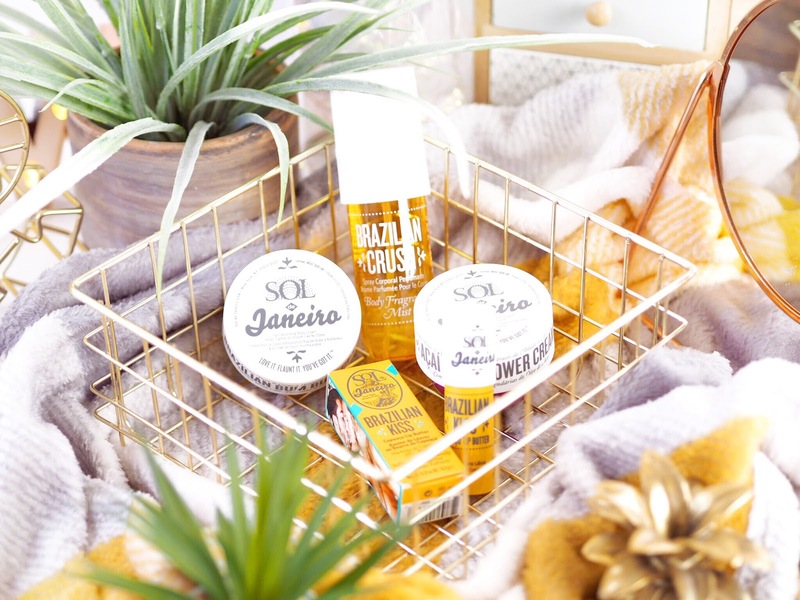 I can’t WAIT to use all my Sol de Janeiro products on holiday this summer, they’re going to be great for when I’m spending all day in the sunshine, but until then they’re giving my body the reminder that summer isn’t far away and also delivering a bit more confidence for me. 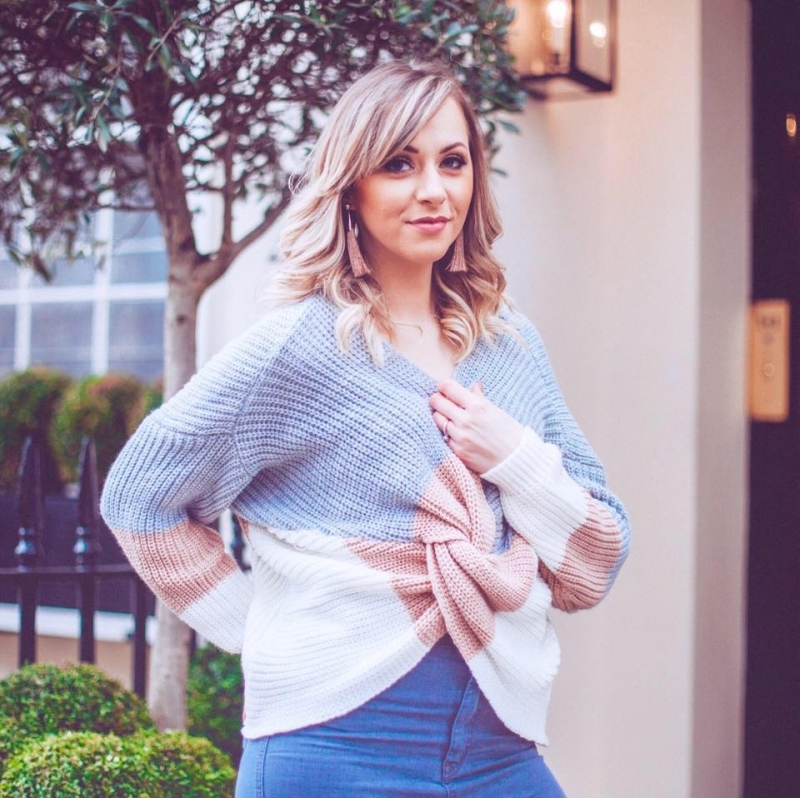 Because it really is true, that old fashioned saying – when you look good, you feel good. And these products make me look and feel good in one. I can’t recommend them highly enough.